If you had dined in at Nandos you will know what a Piri Piri Chicken (Nandos call it Peri Peri) is but for those who does not, it is a type of chicken dish marinated in chillies, herbs and lemon then flame grilled. One of the best chicken recipes you will ever encounter especially if you love hot dishes. This wonderful recipe had originated in Africa using a type of birds eye chillies also called as the African devil. These type of chillies together with other herbs make the marinade so delicious. This great ingredient was discovered by the Portuguese on one of their expeditions in Africa, they found this chilli which was locally called as pili pili and started using it in their local dishes. The Portuguese then popularized it and later renamed it as piri piri, the rest was history. Nandos on the other hand commercialized it and was successful in that regard, in fact I would never had known this chicken marinade if not for Nandos, we loved their chicken as it is really tasty and it’s a healthier alternative to fried chicken. From Malaysia to New Zealand we are a big fan of this dish and since we love it we tried to make it at home using our own recipe, I don’t know what Nandos really uses but this is my version and I can say that I got the flavours right. In a blender add all of the ingredients except the chicken, blend until it forms a smooth paste. Place in a glass container and place in the refrigerator for at least 2 days, this allows the flavours to develop. Once the marinade is ready rub chicken pieces with it and leave in the refrigerator for 24 hrs. Prepare a charcoal barbecue and cook the chicken regularly basting it with the remaining marinade. If you don’t have charcoal barbecue you can oven grill it by baking chicken for 45 minutes on 180C then set to oven grill at 200C for 15 more minutes. 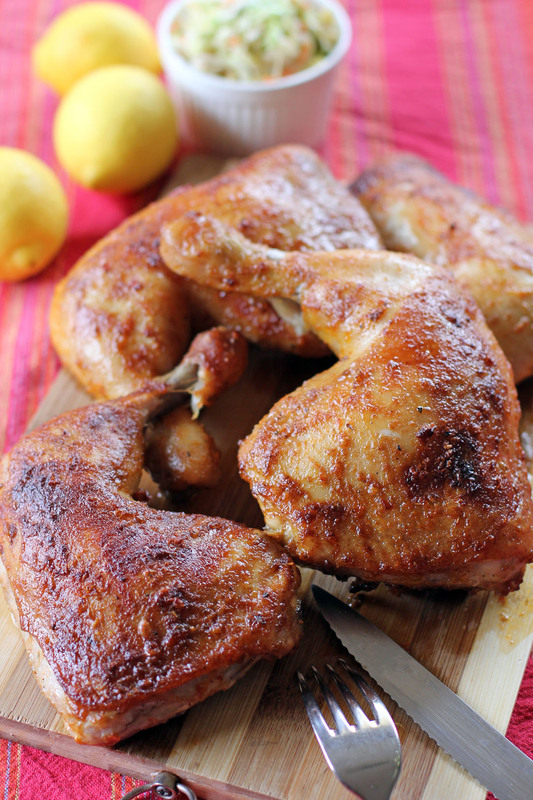 Grilled chicken is easy and delicious — great recipe. This looks delicious. You really can never go wrong with a perfectly spiced and roasted/bbq chicken. Sounds delicious! Always looking for new grilled chicken marinades. What a great sounding seasoning for this chicken! Looks really scrumptious! I first fell in love with the piri piri chicken @ Nando’s but this looks even better! The photo of the chicken leg is so inviting that I want to reach into the screen and bite into it. 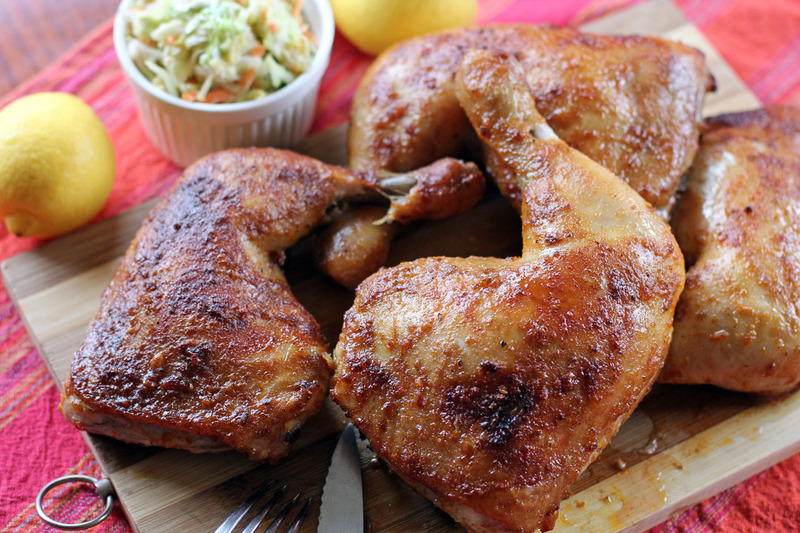 This is a great way to cook chicken and must try it soon. Thanks, and sarap, Raymund! How long can we keep the sauce in the fridge? Good question! I haven’t tried storing them yet but the maximum I let them develop was 5 days.